Immediately after the second incident, Johnson responded by ordering the first U.S. airstrikes against North Vietnam and by submitting the Tonkin Gulf Resolution to Congress, which on August 7 authorized the president to “take all necessary measures to repel any armed attack against the forces of the United States and to prevent further aggression” in Southeast Asia. (Johnson later joked that the resolution was so broadly worded it was “like grandma's nightshirt. 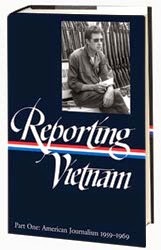 It covered everything.”) Most historians regard this weeklong series of events as the crucial turning point in American involvement in the Vietnam conflict. They knew that they were being followed by a Viet Cong rifleman carrying a radio, but they did not know that in their path was a Viet Cong company who were being guided by the man with the radio. The Americans were caught in deadly cross fire of a box ambush to which were quickly added 60mm. mortar bombs. By the time that they had extricated themselves they had lost eight killed and twenty three wounded—a heavy blow for an infantry company to sustain. Williams was among the eight Americans killed in the ambush. “His buddies, black and white, helped carry the wounded 173rd Airborne Brigade soldier to a medical evacuation helicopter, where he died,” reported Rubén Salazar in The Los Angeles Times at the end of May. “All of Williams’s buddies killed with him were resting this Memorial Day where their survivors wanted them to be. All but Williams.” What happened to Williams’s body when it arrived back home is described in the following anonymously written article that appeared on the front page of The Afro-American [Baltimore]. PFC Jimmy Williams's uniformed body was lowered in a grave in the piney woods of South Georgia Monday while a grieving mother pondered the fates which denied him a final resting place in his hometown. . . . If you don't see the full selection below, click here (PDF) or click here (Google Docs) to read it—free! Classic american illiteracy disrespect and bigotry. Every white man involved in this should be jailed. And the Government in its incompetency should disinter and move the body to Arlington with full military honors. I agree with Anonymous. There is no reason to name the depravity that causes savage injustices such as this. One way to atone for the actions of our fellow "citizens" would be to bury this young man In Arlington with the dignity and honor he deserves. I fully agree with you. That boy gave his life for this country. Protecting the likes of the politicians totally using the people and the government for their owns personal gains. Bigots and worthless. That young mans body should be laid to rest in the National Cemetery in Washington,DC. While working as a NASA contractor in Huntsville in the 1980's I visited the civil war cemetery in the beautiful old section of Huntsville on Memorial Day. There was a crowd, the cemetery was spruced up, and TV cameras were recording the speeches of the notables. But one corner of the cemetery was unkempt, full of weeds, the markers askew. I asked the (black) TV camera man what was the reason for this, and he said simply that the unkempt part of the cemetery was for the black war veterans. I am a native Alabamian and my heart is full of sorrow. I wish I could hug PFC Jimmy's mother and Asher forgiveness. This story makes me full of shame.